‘How would STS look like in the future?’ That seemed to be a question many of us asked not only in preparing or organizing but also in taking part in the recent 4S-EASST joint conference in Barcelona: ‘Science and Technology by Other Means: Exploring Collectives, Spaces and Futures’. Prolonging and re-appropriating the conference’s ‘by other means’ motto in presentations, concept work, track titles, or informal jokes, the nearly 2000 participants proved, with great prowess and ingenuity, that this is not only a growing but also a still vibrant and burgeoning field. The many informal meetings, presentations and workshops with regular or ‘alternative’ formats also demonstrated that our field has become a space increasingly triggered and activated by a concern over our collective future: not just as frightened academics facing a job situation without great prospects in a shrinking job market, but also as planetary beings, friends, neighbours, or citizens worried about the somewhat gloomy horizon of our life in common with others. In her electric keynote talking about the ‘alterlife’ practices of many indigenous communities in the Great Lakes, Murphy did not just make us reflect on our breathing in chemically-loaded spaces. Some of us sensed that something else was also in the air. Something infusing many of us with an air of the ‘otherwise’. Telling us–sometimes surreptitiously but also making itself very palpable–that STS could be undertaken or practised ‘by other means’: not only with a desire to work ‘in, with and alongside’ collectives, but also undertaking many new practices in a variety of other spaces beyond the formal locales of knowledge production. Of course, as Madeleine Akrich warned us in her tour-de-force keynote on patient collectives and their embodied health activism, this more collectivized and spatially diverse ‘by other means’ should not merely direct us to an acritical assumption that anything collective is necessarily better. There are many forms and practices of the collective and we should, indeed, pay strong and dedicated attention to dwelling on the particular ‘politics of collaboration’, such as the ones being articulated, for instance, in scientific societies or associations. As Isabelle Stengers had beautifully put it elsewhere, and as she summarised in a marvellous detour across the greatest hallmarks of her recent works in the closing keynote, the ‘by other means’ “is not a matter of converting us but of repopulating the devastated desert of our imaginations” (Stengers, 2015: 102)1. In this most daunting of moments, where current forms of academic capitalism and its diverse alliances with Game-of-Thrones-like forms of nepotism are putting our academic–and personal–lives in danger, we need to rethink at great length not only our endeavors as a community of STS-minded scholars, but also the kind of research spaces we would like to populate and bring into existence ‘with and against’ our established forms of institutionalization, so that a more hopeful future for all could be co-articulated. In the many plans to renew and upgrade the EASST Review, it would be one of our aims to turn this into one of those hospitable spaces. Amongst the many audacious open-source media transformations that our field is suffering affecting the modes of publication of journals and books, the EASST Review would like to occupy a different space, fostering many textual genres ‘by other means’: that literature situated ‘in between’ the conversation and the published paper that would not usually find a home in regular academic journals. But to make it true, we will certainly need your complicity and audacity, to help us reimagine our sections and to discuss and excuse our trials in prototyping a new artefact for our STS community. Will we be able to collectively manage to craft a new line of hope in the horizon of our discipline, perhaps even an STS by other means? 1 Stengers, I. (2015). In Catastrophic Times: Resisting the Coming Barbarism. Lüneburg: meson press. 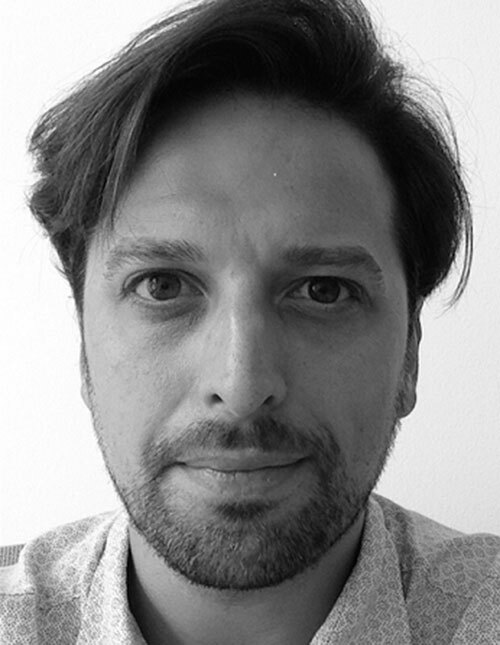 Dr. Tomás Sánchez Criado is Senior Researcher at the Infrastructures & Participation group, Munich Center for Technology in Society & Department of Architecture, TU Munich and Editorial Board Member of EASST Review. He is a social anthropologist with specialization in STS whose studies and publications have focused monographically on the ethnographic exploration of care infrastructures and their open/collaborative design transformation.